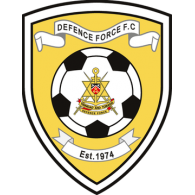 Defence Force and W Connection both escaped with narrow 1-0 wins against Police FC and MIC-IT St. Ann's Rangers, respectively, when the new 2017 Pro League season continued with a double-header in Couva last night. 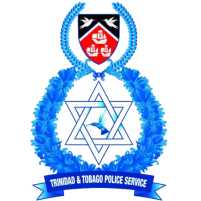 Jerwyn Balthazar handed Defence Force an early item which the Tetron Boys held on to for victory against a determined, but unlucky Police outfit at the Ato Boldon Stadium. 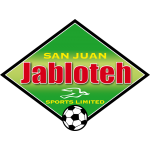 Then, in the second game, new Connection signing Marcus "Lobo" Joseph snatched the winner at the death as the Savonetta Boys narrowly avoided an opening draw. Joseph, who was denied no less than five times on the night by Rangers goalie Cleon John, including a brilliant reflex save in the 65th minute to keep out a powerful free-kick which took a wicked deflection, fired home the winner from around ten yards out. 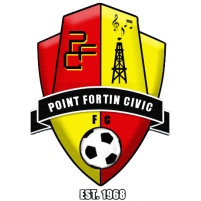 The 35-year-old John had been hung out to dry by his defence which had given their all to the Rangers shirt but collapsed on a raid by Connection that saw Joseph, a former Central FC and Point Fortin Civic star forward, move free inside the area to capitalise in the 89th minute. John wasn’t flattened though. The overlooked Trinidad and Tobago shot-stopper made three more saves—his last to thwart a stoppage-time strike by Connection goal-hero Joseph. 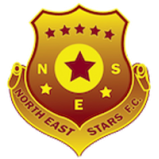 Rangers, coached by Anthony Streete and boasting a few new additions, and Connection, currently managed by assistant coach Earl Jean, looked two well-oiled teams, providing an excellent contest from the first whistle. Connection head coach Stuart Charles-Fevrier has been away on international duty for the last few weeks as assistant coach with the Trinidad and Tobago men’s team for World Cup qualifying, including tonight’s visit at Costa Rica. Back home, Rangers had two penalty shouts -- the clearer of them when forward Anselm “Worm” Jackson went down under a challenge by Connection right-back Shaquille Bertrand two minutes from the break -- but referee Keilon Bacchus bought none of it. A tug on Joshua Leach, prohibiting the substitute attacker a chance at goal, also seemed enough to win Police a penalty with less than ten minutes left in the earlier game. But that game’s referee Marlon Perouse, nor his assistant, didn’t feel that way. Police’s luck was clearly against them. Defence Force meanwhile had to work their socks off to preserve the narrow advantage. Sheldon Clarke, between the uprights for Defence Force, failed to stop an Elijah Belgrave free kick on 57 minutes, but the ball ricocheted off both uprights before allowing ‘keeper a safe gather on the second attempt. The Richard Hood coached-Lawmen, like their Marvin Gordon-coached counterparts, weren’t as lively as the game that followed. They were tactical though, and a draw would have seemed a fair result between the two very experienced outfits of the armed forces. However Balthazar’s item in the third minute after making contact to a free kick from the right stood tall in the end, earning his side maximum three points. 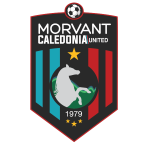 Police and Defence Force will next face Morvant Caledonia United and San Juan Jabloteh, respectively from 6pm and 8pm on Friday at the Ato Boldon Stadium. 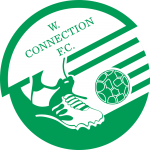 W Connection will also return to play on Friday but must head south to the Mahaica Oval from 6pm against Point Fortin Civic. 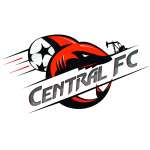 Central FC, the three-time defending champions, will visit North East Stars at the Arima Velodrome on Saturday from 8pm, while Rangers must return to the Ato Boldon on Tuesday from 6pm against Club Sando. W Connection 1 (Marcus Joseph 89’) vs MIC-IT St. Ann’s Rangers 0, at Ato Boldon Stadium. Unused substitutes: 1.Jamal Francois (GK), 2.Jasimar Ashers, 8.Kurdell Brathwaite, 36.Kadeem Riley. W Connection: 18.Julani Archibald (GK) (Capt. ), 2.Kurt Frederick, 4.Maurice Ford, 6.Kevon Goddard, 7.Neil Benjamin Jr., 10.Dimitrie Apai (24.Jameel Antoine 93rd minute), 11.Malik St. Prix (23.Jamal Ray Charles 70th minute), 19.Briel Thomas, 21.Ronell Paul, 30.Shaquille John (3.Gerard Williams 61st minute), 99.Marcus Joseph. Unused substitutes: 22.Denzel Smith (GK), 17.Qian Grosvenor, 26.Isaiah Garcia, 32.Javaughn Humphrey. 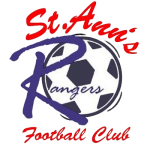 St. Ann’s Rangers: 1.Cleon John (GK) (Capt. 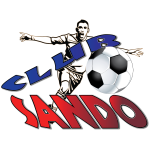 ), 3.Kareem Eastman, 4.Shane Sandy, 7.Sedale Mc Lean (8.Jordan Devonish 63rd minute), 10.Josh Toussaint (9.Jair Edwards 72nd minute), 12.Rennie Britto, 15.Keshawn Hutchinson (5.Tekay Hoyce 86th minute), 16.Stephon Smith, 17.Hakeem Baird, 19.Anselm Jackson, 30.Che Benny. Unused substitutes: 22.Christopher Biggette (GK), 14.Xae Pierre De Fou, 28.Shem Alexander, 31.Jesse Williams.